Architecturally elegant with broad open spaces, sculptural detailing, and soaring ceilings, the structure articulates the classic timelessness of masonry construction. Just inside the secured gate of Hawaii Loa Ridge, situated on a 24,775 square foot lot on Puuikena Drive, is a spectacular indoor-outdoor home designed to take advantage of unobstructed, panoramic ocean views. Architecturally elegant with broad open spaces, sculptural detailing, and soaring ceilings, the structure articulates the classic timelessness of masonry construction. With ﬁve bedrooms and ﬁve and a half baths on two levels, the roofed area is a spacious 5,300 square feet augmented by lanais. The grand hall, with formal and informal dining areas, opens to the expansive deck with a swimming pool, spa, and manicured gardens. Marble, tile, and hardwood ﬁnishes are enhanced by natural illumination admitted by walls of glass and skylights. 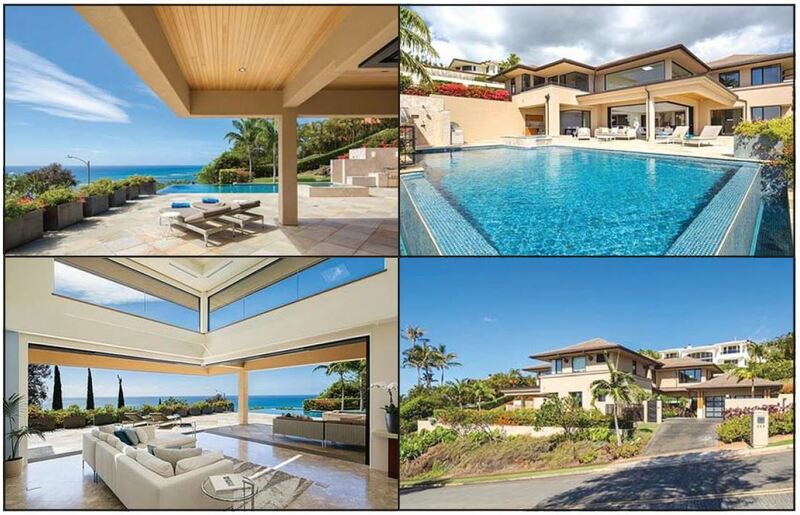 The home is priced at $5,800,000 and shown by appointment by Coldwell Banker Paciﬁc Properties Realtor Kainoa Lee. 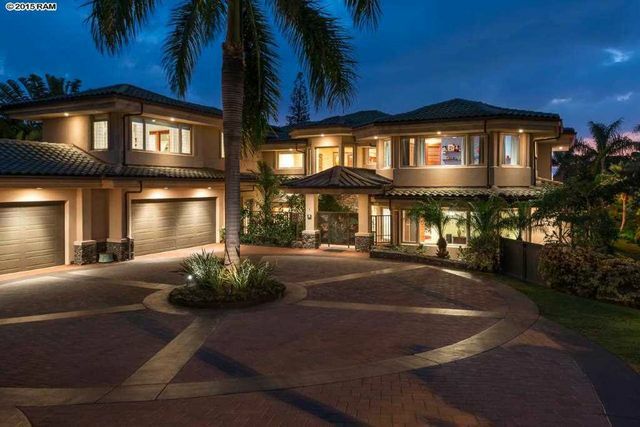 Strict design guidelines with height limitations, minimum roof pitches, setbacks and view corridors were observed in the design of this contemporary home nestled at the base of Hawaii Loa Ridge. 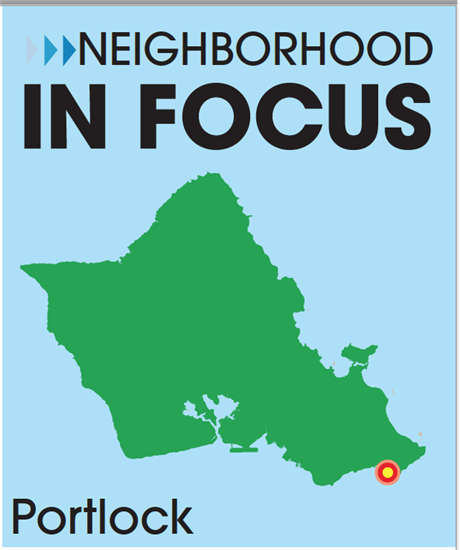 The goal was to design a home offering a fresh, new contemporary style that ﬁt within the context of the neighborhood. Precise design studies and creativity maximized the plan and the aesthetics. The home would need to be cut into the sloped site, so a large retaining wall was planned on the mauka side. With no neighbors on the lower end of the site, the house and pool were oriented to take full advantage of the natural ventilation and unobstructed views. Utility areas were arranged along the retaining wall while the kitchen ﬂ owed into the grand hall and dining with a guest suite sharing in the ocean views. Expectations were exceeded with the roof requirements as the double-pitched hip roofs were achieved in addition to a ﬂ at roof area for the solar water heater panels and skylights strategically located for natural lighting. Exterior ﬁnishes included a heavyweight concrete tile roof in a charcoal color with copper gutters and downspouts and a smooth, hand troweled synthetic stucco on the walls and sofﬁts. Bronze colored aluminum doors and windows and aluminum garage doors with opaque glass and a hint of cedar on the exterior columns completed the contemporary style. 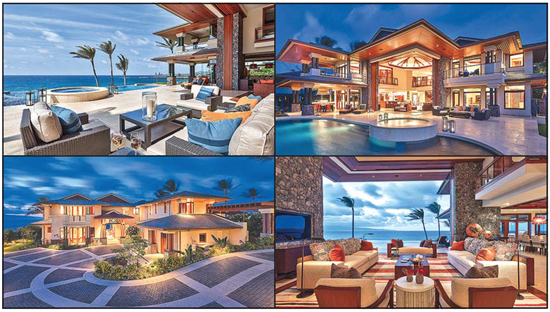 The nine-foot-tall corner-pocketing doors span 18 feet in each direction and disappear into the walls, allowing the Grand Hall to open directly to over 600 square feet of pool and dining lanais. A column is offset from its typical location creating a cantilevered overhang shielding the south-facing interiors, further enhancing the indoor-outdoor living experience. Above, an interior bridge connects the mauka and makai wings as it looks down into the Grand Hall and beyond toward an ocean of blue. Open spaces and clean lines, absent of traditional moldings and trims, with a simple palette of neutral colors and textures add to the sophistication of the design. Travertine ﬂoors are complemented by the warmth of the mahogany doors and bamboo ﬂooring seamlessly into the ocean horizon. With the ocean at its front door, this contemporary home strikes the perfect balance between originality and preserving the natural design characteristics of the Ridge. ---Jeffrey T. Long and Timothy H. Hamilton, Jr.